~ Cider Antiques ~: Welcome to a Pretty Little Christmas Party! Welcome to a Pretty Little Christmas Party! 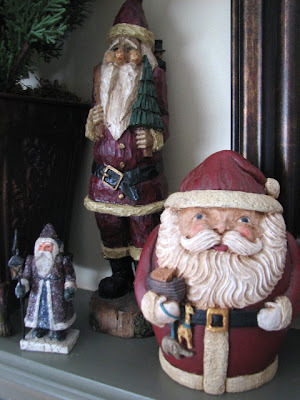 Welcome to the "Pretty Little Christmas" Blog Party hosted by Heather at Pretty Petals . Thank you to our hostess! 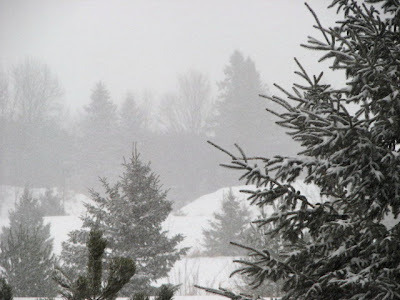 I love a white Canadian Christmas with tall Pines and Spruce trees dusted in snow. It has a very calming effect I think . . . against all the hustle and bustle of Christmas. This is the view from our family room. Please come in . . . and make yourself at home . . . 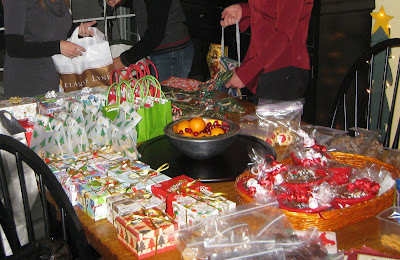 I attended a wonderful Cookie Exchange Party recently. I am already for our family Christmas in Toronto this weekend. I have put a tray of goodies in the freezer to make sure they make it until Saturday, LOL. Too many cookies monsters in our house. 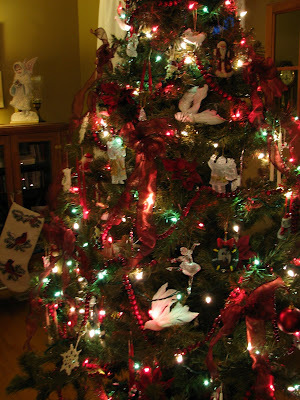 Our Christmas Tree is red and white (Very Canadian I suppose) with Angels, Doves and Old World Santas. I like the transparent ornaments that twinkle at night. 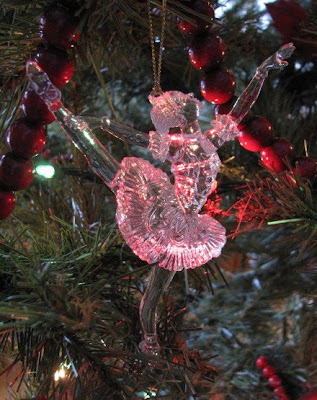 I think my favorite ornaments are my Glass Ballerinas. I took Ballet for many years when I was young. 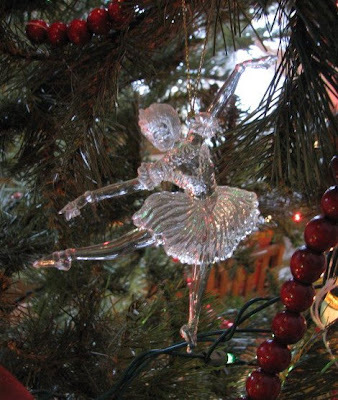 These Sugar Plum dancers like to spin around and around. They look like they are dancing on the tree. This little gal is just adorable . . . love her glitter and tiny birds nest. This Santa makes all the little children smile. 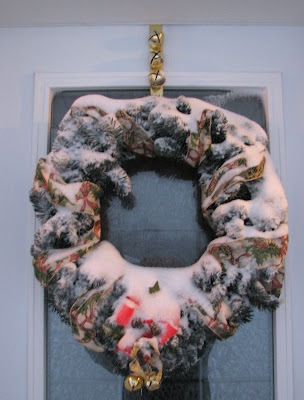 He is a wreath that hangs low on the door so the small ones can say hello to him. p.s. we used this picture as our Christmas card that year. Wishing you all a Safe and Merry Christmas with Family and Friends ! What a cozy and festive home you have! So neat! Your pictures of snow are wonderful! We generally have warm Christmases with temps in the 60's-70's. Merry Christmas! Love the decor but it is that snow that melts my heart! I love snow! We are amid an ice storm now, no snow in sight. Thanks for sharing and have a wonderful Christmas! Hi Karen...I love your Christmas tree with all the reds and whites. Thank you for sharing your home. what a breathtaking view you have!!! so gorgeous!! thank you so much for your visit and such sweet compliments!! a very merry christmas to you!!! The ornaments in the glass container are so beautiful. 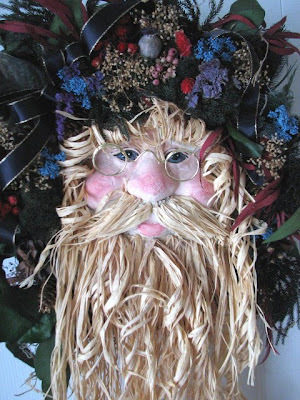 Santa with raffia makes me smile too! Thanks so much for sharing. 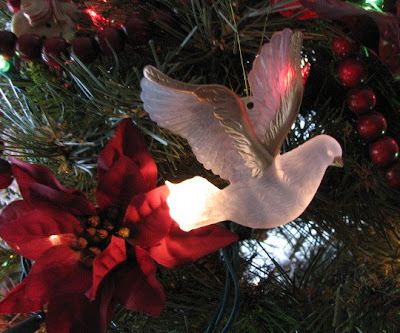 You have lots of pretty Christmas decor; thank you for sharing! Hi Karen...Oh, your decorations are so beautiful. I love your Santas...ah, yes, the family portrait! 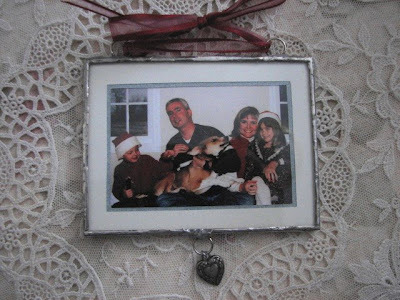 I love how it is framed..it really is a true family picture! Your ballerinas are gorgeous. Thanks for sharing your pretty home. I also have snow and forest outsaide. And it is as yuo sai. Calm and relaksing. Your first photo is my absolute favourite. 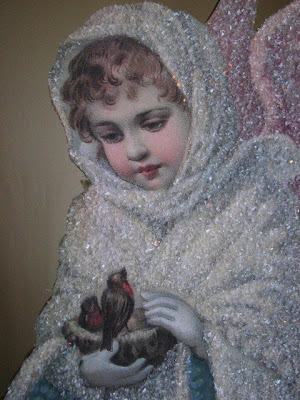 The beautiful vintage ornaments, the glass, the feathers, the lace - it's so beautiful. The view from your family room is awesome! 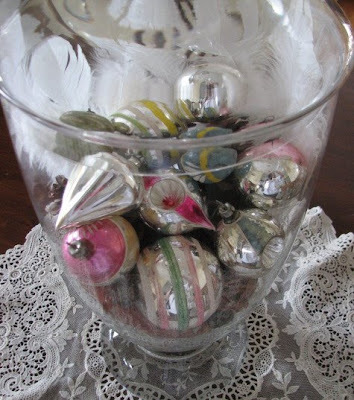 I love the vintage ornaments you have displayed in the jar - very pretty. Merry Christmas! Hi Karen! All is beautiful here! I especially love the tree, with all those beautiful ornaments, and your Santas! Precious family portrait! Have you ever been to London? 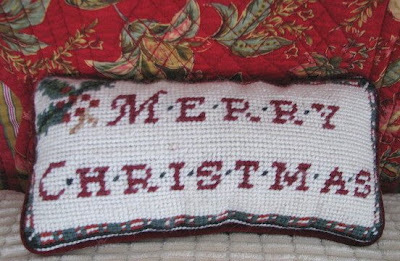 I posted some Christmas pics on my blog! 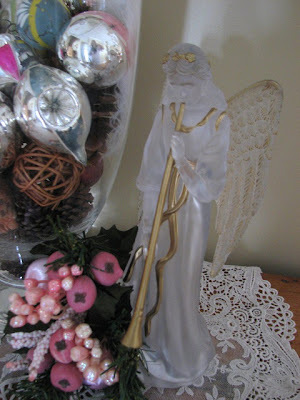 Thank you for sharing your Christmas pictures ~ I enjoyed my little peek into your gorgeous home. I love your tree and all your wonderful decorations. Off to FedEx asap . . . .
A New Appreciation . . . .
How Cool is that !!! 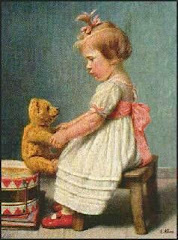 Vintage Baby ~ 1940s and 1950s ~ Too Cute!